Moving their goods can turn out to be an emotionally and physically stressful experience for people. For moving their goods, people have got two options. The first one is to move them on their own and the second one is to hire a professional moving service for this purpose. Those who decide to move their goods themselves have to perform all the packing, moving and loading tasks themselves. This can consume a lot of time and exhaust people physically. Homeowners may buy more packing materials than required for packing their items. They may have to undertake multiple trips for picking goods from their place. While lifting heavy goods and moving them, they may damage their goods or home or they may themselves suffer injuries. Their goods may also get damaged during transportation due to improper packing and stacking in a vehicle. All these things can make moving a far more expensive and painful affair for people. To render their moving experience a stress-free and more enjoyable one, people should hire professional Packing and Moving Services. Such a packing and moving service have got experienced and skilled staff. They will pack the goods at a home in a proper, efficient and quick manner. They will pack various goods like furniture items, clothes, books, artworks, delicate items, etc. in different boxes as per their nature so as to ensure their safety during transportation. For moving heavy objects, they will use proper procedures and dollies to avoid damaging the objects, home or hurting themselves. They will appropriately label the boxes, so no confusion remains about which objects need to be placed where after unloading them. This would help to avoid wastage of time and saves homeowners from unnecessary stress. For loading goods in a truck, the service’s personnel will use proper tools and keep the packaged boxes one over the other in a proper manner. They will keep the fragile items on top to save them from any damage. They will be able to pack all the goods in a single truck, so there is no need to come back again for picking the things up. For transporting the goods safely, the moving service will choose the best route that has the least traffic and where there is no problem on road due to some repair work or any other reason. The staff of the moving and packing company will not only perform their tasks in a professional and efficient manner but also they will also be polite and friendly. They will provide people in a house every possible help. The staff will also be sharing with them useful packing and moving tips for making their relocation simple and stress-free. A professional moving service helps to make the moving experience of home and business owners smooth, safe and enjoyable. As it provides its services at a reasonable price, this does not put any financial strain on the budget of people getting relocated. Before going ahead with hiring a particular moving service for your relocation needs, make sure it is reputed and trusted one. By checking the testimonials of customers on its website, you can judge how much satisfied they are. G&G Secure Transport is one of the leading and most reputable packing and moving services which is serving the Los Angeles County. The company provides exemplary packing, moving, loading and transportation services for residences and offices at a reasonable price. By availing them, you will be able to make your moving experience a smooth, stress-free, safe and enjoyable one. People have to relocate to a new place for various reasons like getting a new job, buying a new home besides others. Moving items themselves have been proven to be physically taxing, time-consuming and a stressful affair for people. Also, this can cost them more money as they may have to make many trips for transporting their goods to their new home and buying extra materials. Their goods may get damaged during transportation due to improper packing and may also get injured while lifting and handling heavy goods. To avoid such situations and to make the moving experience easy, stress-free and hassle-free, people should call a Professional Packing and Moving Service Company. They have got experienced personnel who are skilled in packing, moving and loading goods. They will pack the goods in a proper and efficient manner and use different boxes for storing goods as per the nature of the items. So the goods will be able to reach their intended destination in a safe and unaltered condition. Their personnel will also appropriately label the boxes to make it easy for the homeowners/office owners to know which items are contained in which specific boxes. Also, they will use tools like dollies, ramp, etc. for lifting and handling goods properly and safely. Their use enables personnel to avoid injuries and the goods and home can be saved from any damage. A moving companies drivers have a good knowledge of routes and neighbourhoods. You can be sure that your items will arrive safely and in the most timely manner possible. The service’s personnel will also share useful packing and moving tips with the homeowners to make their relocation experience easier and smoother. Moving Companies are insured, so in case goods get damaged during transportation, the concerned homeowner can claim compensation for the damage. But such situation is highly unlikely to occur as the professional moving companies take extra care when transporting goods. G&G Secure Transport is one of the leading moving companies which serves Los Angeles County. G&G provides professional, efficient, safe and affordable packing and moving services for both home and business owners. Their services take the pain and stress out of the people’s moving and let them attain an easy, smooth and enjoyable relocation experience. You may be planning to buy a new home in Los Angeles in 2019 as you have got a new job there or due to some other reason. So we want to tell you here that moving your goods yourself to your new home may be physically taxing, time-consuming and stressful for you. Also, this may cost you more money as you may have to take more trips for transporting your goods to your new home in Los Angeles. Your goods may get damaged during transportation due to the improper packing is done by you. So you will not get any compensation for this damage. You may also get injured while lifting and handling the heavy goods yourself. To avoid such situations and to make your moving experience an easy, stress-free and hassle-free one, you should seek help from one of the professional packing and moving services. It has got experienced personnel who are skilled in packing, moving and loading goods. They will properly and efficiently pack your goods. They will use different boxes for storing your goods as per their specific nature. This will ensure they reach their intended destination in a safe and perfect condition. The service’s personnel will also appropriately label the boxes to make it easy for you to know which particular items are kept in which particular boxes. Also, they will use tools like dollies, ramp, etc. for lifting and handling the goods in a proper and safe manner. Their use will enable them to prevent injuries to themselves. Also, your goods and home will get saved from any damage. The moving service’s personnel will have a good knowledge of the routes and neighborhood. So their truck can avoid the routes where a road is being constructed or where it contains potholes. Its personnel will also share useful packing and moving tips with you to make your relocation experience easier and smoother. The moving service will be insured, so in case your goods get damaged while it transports them to your new home in Los Angeles, you can claim compensation for their damage. But such a situation is highly unlikely to occur as the service will take extra care for transporting your goods in a secure and perfect condition. Also, it will provide its services at a reasonable price, which will save you from undue financial burden during relocation. We hope this knowledge will help you to achieve an easier and smoother relocation experience while moving to your new home in Los Angeles in the new year. G&G Secure Transport is one of the leading moving companies which serves the Los Angeles County. It provides professional, efficient, safe and affordable packing and moving services for both home and business owners. Its services help them to take the pain and stress out of their moving and let them attain an easy, smooth and enjoyable relocation experience. Moving can be an emotionally and physically draining experience for people. When it’s time to move, people generally only have 2 options. The first one is to move on their own which is always much easier just to think about than to actually do. The second option is to hire a professional moving company, it may cost a little money but it is well worth it at the end of the day, especially if you find a great reputable company to hire. For example, G&G Moving & Storage in Los Angeles is an excellent choice for a packing and moving services, they make the entire process easy for their customers. Entertaining the idea of moving your items yourself, sure sounds like a decent idea, until you realize just how much there is to do. After packing, of course, the items need to be moved into a truck, potentially un/downstairs as well. Just look around your house for a moment and think about how you would move your dressers, dining room table, beds, piano, mirrors, artwork…and much more. It can get tricky, and let’s not forget placing it in the truck safely for transportation. Hiring a good reputable moving company, you are sure to have experience, skilled packers & movers, insurance coverage, and you are much less likely to hurt your back. Professional packing takes time to learn, G&G Secure Transport, LLC has the best packers in the business. With over 35 years of experience, there is not an item that they have not packed. They pack and wrap furniture and household items, clothes, books, artwork, delicate items, Piano’s and other musical instruments, home appliances and much more. Dishware and other kitchen items are where all the fun is. Most dishes, cups and serving bowls in a kitchen are glass so they have to be treated carefully. Propper packing of glassware requires knowledge and experience, especially so nothing breaks during transport. Dollies and other moving equipment is used to avoid damaging the objects, home or hurting themselves. They will appropriately label the boxes, so there is no confusion about where items should be placed at the destination. In the end, hiring a professional packing service may actually save time during your move. Which will surely save you money! Hiring a professional moving company will make the moving experience smoother, safer and as enjoyable as moving can be. Before hiring a moving company for your relocation, do your research. Check the reviews, check their website, call them and ask any questions you have. Make sure you are comfortable with the company before you commit to anything. G&G Secure Transport is one of the leading and most reputable packing and moving services, servicing Los Angeles County. G&G provides exemplary packing, moving, loading/unloading and transportation services for residential and commercial properties. Ensure your move is smooth, stress-free, safe and an enjoyable one. 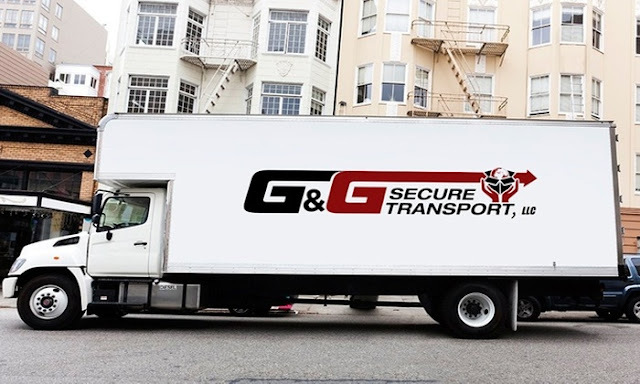 Schedule your move with G&G Secure Transport today!